The most typical gardening pattern for North America is the Spring-Summer-Fall (S-S-F) gardening season. These gardeners have a spring frost date (the average date of the last spring frost) and a fall frost date (the average date of the first fall frost), and have to fit in all the gardening in between! S-S-F gardeners plant Hardy vegetables in the spring, followed by Semi-Hardy. After the frost date, they plant Tender and, a few weeks later, Very Tender plants. Soon the temperatures are too warm for the Hardy and Semi-Hardy plants, and they must be harvested or go to seed. If the growing season is long enough, S-S-F gardeners can plant a second time, for harvesting in the fall. 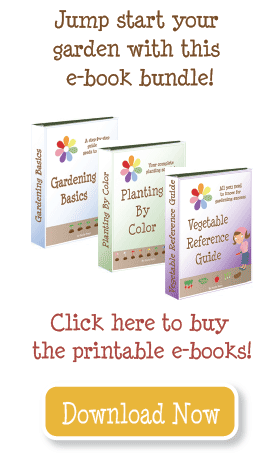 The fall garden generally includes a second planting of Hardy and Semi-Hardy plants. Most of the Tender and Very-Tender plants take a long time from seed to harvest, so they are still growing until the fall frost kills them. If your growing season is short, you may choose to plant only Tender and Very Tender plants in the spring, and then plant Hardy and Semi-Hardy plants mid-summer for a fall harvest. Some folks live in areas where it is cold to grow in the winter, and very hot in the summer. These areas have a spring frost date (the average date of the last spring frost) and a fall frost date (the average date of the first fall frost), and in between the temperatures soar. This creates two growing seasons—Spring and Fall (S-F). In the spring, S-F gardeners should choose bolt-resistant varieties of Hardy and Semi-Hardy veggies that mature more quickly. This will increase your odds of a good harvest before temperatures get too hot. The good news is, since they live in the South or Southwest, these gardens get lots of sunshine and enjoy mild winters. While most people will only plant Hardy and Semi-Hardy vegetables in the fall, these gardeners can often plant Very Tender and Tender vegetables as well. By choosing varieties that do well in cold weather, S-F gardeners can have success growing Hardy and Semi-Hardy vegetables all winter long! Often S-F gardeners have a longer time frame for sowing seeds, especially for a fall garden, and winter conditions that allow the hardiest plants to survive. If you are a S-F gardener and follow my Planting By Color schedule, please remember that it outlines the soonest and latest you can plant for spring and fall gardens. You may have more flexibility in when you plant. Some locations are simply too hot to have a successful garden outdoors during the summer, but they have no fall frost date, or such a short, mild period of potential freezing temperatures that they can grow a garden all winter. Then, they continue gardening in the spring until temperatures get too hot again in the summer. These gardeners have a Fall-Winter-Spring (F-W-S) pattern. F-W-S gardeners will have success planting Hardy and Semi-Hardy vegetables in the fall, and then planting Tender and Very Tender vegetables in the Spring. Like the S-F gardens, many Hardy and Semi-Hardy plants can be grown later, and possibly all winter long. This means the time to sow plants may be extended as well. I envy those gardeners who live in areas without any frost, and climates mild enough to grow a garden all year round! Theoretically, you could plant any vegetable at any time. In practice, certain vegetables will grow better if planted in the right season. Hardy and Semi-Hardy vegetables will thrive if planted in the fall and grown all winter, into the spring. Tender and Very Tender vegetables should be started in the spring, to grow all summer and harvested in the fall. You will notice that most seed packets indicate planting date based on frost-date. If you don’t have a frost date, your planting schedule is probably related to the hours and intensity of sunlight you receive and average temperatures. Just because you live in an area without a frost date does not mean that my Planting by Color schedule does not pertain to you. For example, many areas in Northern California have no frost dates, but their planting times are the same as the Orange group. I just wanted to share that I live in one of the hottest parts of the country (Southern Arizona) and I first started gardening in the spring of this year. I was pleasantly surprised to find that some of my plants survived and thrived in the hottest part of the summer (we got up to 107 degrees for many days in a row) and never stopped producing. I had the most success with my peppers, eggplants, cucumbers, and cantaloupes. I provided my peppers and eggplants with some shade during the hottest parts of the day, but not the cucumbers or cantaloupes. My tomatoes, on the other hand, did not do as well, but I did not shade them as they were over 8 feet tall and I was not able to build something to protect them in time. Next year I will try to do better with them. I just wanted to let you know that even in extreme heat it is possible to garden all summer! Rachel–good question. One way that a greenhouse would change gardening is that you would be able to start plants indoors to transplant outside–but you would still follow the color dates for this. You can’t really start things sooner, because there is an ideal size for transplanting–big enough to tolerate the weather but small enough to still be movable and nor root bound. Another way is to grow foods entirely in the greenhouse, in which case the color dates would not necessarily apply. I have never grown plants this way, so I can’t speak to it very well. Perhaps someone else has, and will comment? How should I adjust my color group or growing pattern if I build a green house?